Follow these instructions to install Node.js & Ghost on your local environment. 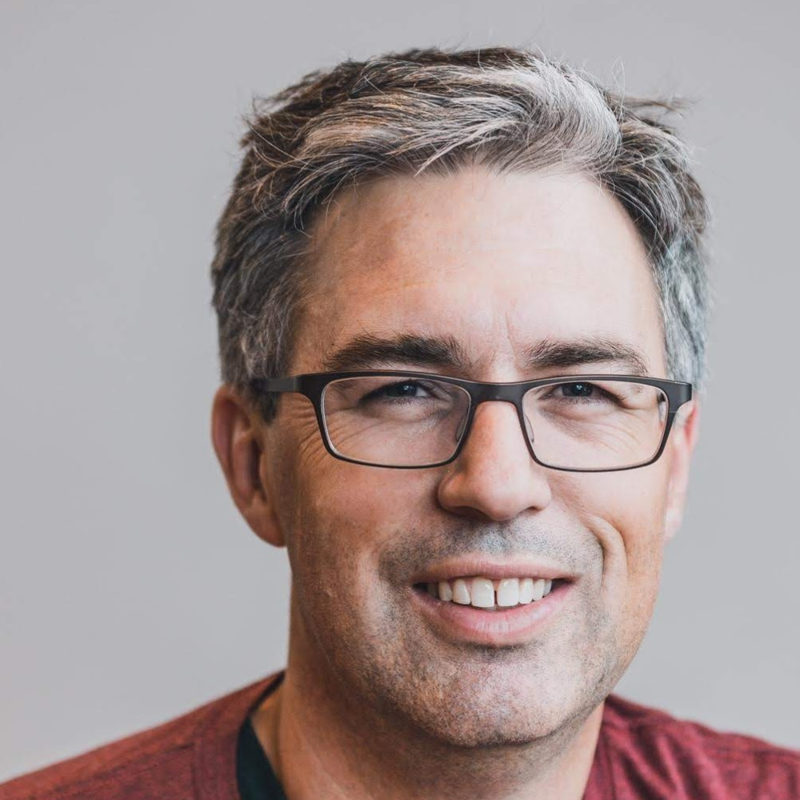 When Ghost, a Node.js app, runs on Cloud Foundry it will need to look up its PostgreSQL connect details. For this we use the cf-env package by Patrick Mueller. There is more information on general Ghost configuration. By setting $NODE_ENV to production we will load the Postgres service credentials within Cloud Foundry; rather than assume there is a local Sqlite3 database. The running Ghost application requires a SQL service. Above we configured it for Postgresql, assuming that you would pick a free, small database initially. On Pivotal Web Services, there is ElephantSQL for Postgres and SendGrid for Email. The turtle plan is free for 20Mb and 4 simultaneous DB connections (see config.js above for how connections were constrained). Note, ghost-pg is the name you are giving your service. It should match to the cfEnv.getService("ghost-pg"); name in config.js. 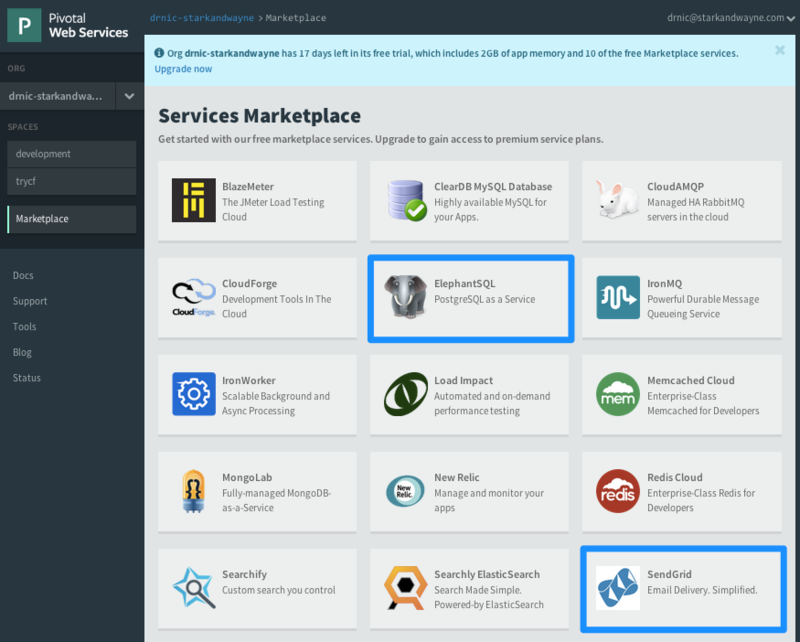 On Pivotal there is a free SendGrid service. As per the config.js, name it ghost-mail. Providing the Postgres and Mail services to the Node.js application is called "binding". As of May 2014 there is a chicken-and-egg puzzle for binding a service to an application that requires the service. The Ghost application needs the Postgres service to be bound to it before the Ghost application can successfully run. But the service needs the application to have been created in Cloud Foundry before it can be bound. Above we are naming the application my-ghost-blog on our Cloud Foundry account, allocating it 256M of RAM (the default is 1G which will cost 4x more per month), and telling Cloud Foundry to hold off from actually starting the app. Then we bind the services (shortened to bs) to the application. If your database has connection limits (as ElephantSQL does) then Ghost may fail several times during initial start up. It may startup but secret will fail to setup some initial databsae configuration. This took us a few hours to debug. I've emailed ElephantSQL to ask them to pass through the number of available concurrent connections (for the chosen service plan). Currently I had to look up that Tiny Turtle has limit of 4 concurrent connections.